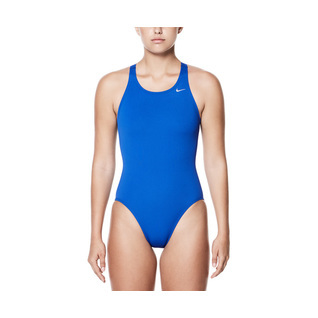 Back to basics in this solid-color suit from Nike. Choose 1 of 4 colors and enjoy the supportive thick straps of this fast back tank. I prefer the polyester version, it lasts longer than the other blends of fabric. Fit as expected. A happy customer!